Oranised by ECSA and Museum für Naturkunde (MfN), 2 of the 14 partners of the EU-Citizen.Science project which is coordinated by MfN — and aims to build a mutual learning space for citizen science by mapping and coordinating European citizen science initiatives by the means of the European platform for citizen science — the "COST Action WG4 and EU-Citizen.Science workshop: co-creating the European Citizen Science platform of the future" was held in Brussels on 10-11 April. This workshop brought together 19 stakeholders from Albania, Belgium, the Czech Republic, France, Greece, Italy, Lithuania, the Netherlands, Poland, Portugal, Spain, and the UK, who are experts in citizen science, and enabled them to exchange on their personal experience in working on citizen science projects and to brainstorm on their needs and assesments of the EU-Citizen.Science platform. Over this two-day workshop, participants were also asked to reflect on the status of citizen science in their own country in order to see how the EU-Citizen.Science platform can successfully mainstream citizen science to stakeholders ranging from scientists to teachers, students, citizens, journalists, entrepreneurs, and the general public throughout Europe. 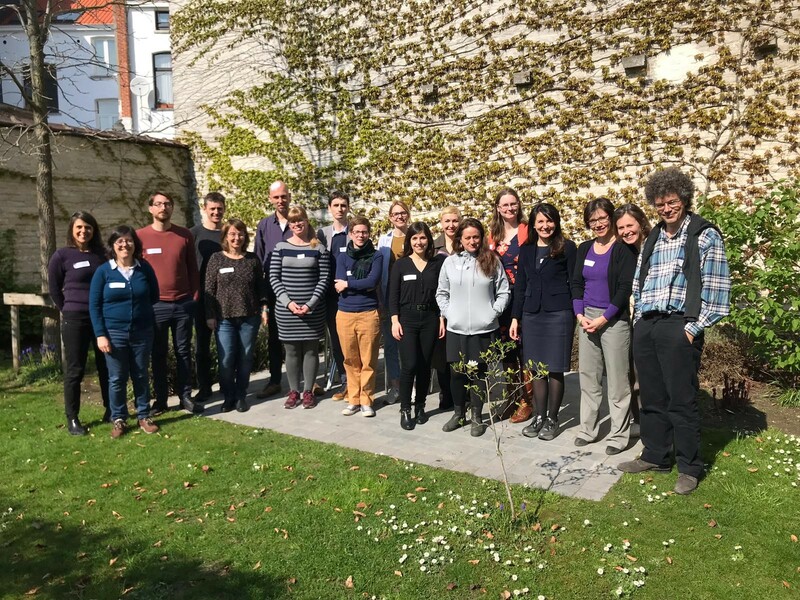 This workshop was therefore the perfect means to collect useful feedback from citizen science experts and their expectations regarding the creation of the EU-Citizen.Science online platform. Stay tuned and follow the next developments of the EU-Citizen.Science project here! The project's website will be online at the end of April and the first project newsletter will also be sent out soon. We will share more news about this in the coming days, so keep an eye open on our Twitter account! EU-Citizen.Science will inherit DITOs social media at the end of the DITOs project in May, so you will also start getting the latest news about EU-Citizen.Science on DITOs social media: Twitter, Facebook, Instagram.